Looking for stamps in Metro Vancouver? Please support these dealers. They are the lifeblood of our hobby. We are pleased to offer contact information for them, as well as links to their web pages. Clicking on any image will take you directly to that company’s web site. You may contact dealers by e-mail by clicking on their hot-linked company names. Dealers wishing to have their link on this web page should read Information for Dealers. PLEASE NOTE: Transactions between stamp collectors and stamp dealers are private, and do not imply any obligation on the part of the Society. As with any small business, advertising creates brand awareness, builds customer base and introduces your product or service to potential customers. So, advertise on our website! We have very low rates and many ad media formats. Our visitors' come from a very wide range of age groups because stamp collecting is for everyone. 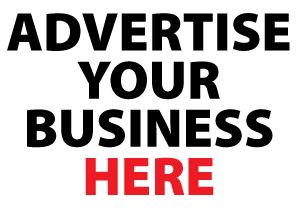 You can advertise monthly or for a period of six months or 12 months. Our rates are competitive and negotiable. We have specific ad sizes which can be submitted in various formats. All Nations Stamp & Coin, 5630 Dunbar St, Vancouver, B.C., just a few steps north of 41st Avenue, adjacent to Dunbar Bus Loop. Open 9:30 - 5:30, Tuesday through Saturday. Free parking. Owned and operated by Brian Grant Duff. Bidboard auction every Saturday at noon. Buy, sell, and trade Canada and worldwide stamps, postal history, and collectors' supplies, and appraisal services. We accept Amex, Mastercard, Visa. Member of Canadian Stamp Dealers Association. IMPORTANT NOTE: All Nations Stamp & Coin formerly operated as The Bay Coins & Stamps at Georgia and Granville in downtown Vancouver. That store has now closed permanently, and the business has relocated. This Google Map shows the new location. F.v.H Stamps, located in Vancouver's famous Gastown area, is owned and operated by Frank von Hausen and his wife, Eliza. F.v.H. Stamps offers a full line of albums, catalogues, philatelic literature, collecting supplies, and a large stock of stamps and postal history. A WEEKLY UNRESERVED AUCTION (2:00 p.m. Saturdays) features up to 250 lots of stamps, postal history, collections and accumulations. Occasional Premium Sales feature higher value material. Most auction lots are illustrated on the F.v.H. Stamps web site. Weeda Stamps Limited offers a regular 3-week unreserved online bidboard auction consisting of 200 Canadian and Worldwide lots, ranging from high value singles and sets to country collections and "sort-o-rama" cartons. Our popular eBay site (weedastamps - http://www.ebay.ca/usr/weedastamps) has thousands of items for auction plus an eBay store for direct sales. Weeda also offers a regular but less frequent Dutch auction (with declining net prices), a newsletter and other special offers including significant quantities of attractively discounted postage for mailing. Andrew is the Western Director of the Canadian Stamp Dealers’ Association and he along with Beverly, Jonathan and Rob are here to assist you with all your philatelic needs including travelling to view collections. Weeda Stamps Ltd. accepts stamps, covers and collections for consignment to our auctions. We also purchase outright and can act as agents for philatelic material of all kinds. No collection too large. Contact us by phone or email.